I love living here, it is the perfect central location to everything in Charlotte! So many different food options in walking distance. The staff at Metro 808 is amazing! The leasing office staff have been very welcoming and accommodating. Although there have been hiccups with getting key fobs, so far living here has been a great experience. The location in plaza is also perfect. Hi Sylvia I., we are very happy to have provided you with such a positive experience! We appreciate your review about your recent experience with Shel & Metro 808! We are very excited to have you as one of our newest residents! The apartment complex has been amazing so far! The amenities are out of this world. It’s a quiet neighborhood and everyone is so friendly! Love the area and staff here are great. Hi Brittani! We are so glad that you are a happy resident here at Metro!! Thank you for taking the time to let us know how we did. We hope you have a great day! We appreciate your positive review about your recent experience with us! Thank you for letting us know where we can improve. We do our best to make Metro 808 a wonderful place to live. If you ever need anything else from us, please feel free to give us a call or stop by. Have an awesome day! Great location! We can walk to restaurants, grocery stores, breweries and so much more! The apartment is updated with nice finishes and has a very open feel. Overall decent conditions. Cleaning inside could be better. Some difficulties in apartment itself such as appliances not always functioning, etc. Thank you for taking the time to let us know how we did. We hope you have a great day! Please let us know if there is anything else we can do for you; we are more than happy to help! I like the environment, it’s in a great area where I can walk plentry if restaurants, bars and glocery stores. I just renewed my lease and I’m happy for my decision . Maintenance team provide and good service and fast . Hi Lizet G., thank you so much for your positive comments about Metro 808! The location is awesome! We are glad you have renewed your lease too! Thank you, and have a fantastic day! The staff made the move in process extremely easy and have always been there when needed! I visited Metro 808 after a job interview and fell in love! Stephon even would text me to see how the job hunt was going and would keep me updated on rental rates. He made me feeel like i was at home before even signed a lease! In searching for a new home, the staff at Metro808 made me feel welcome immediately and they were the reason I decided to move here. Love the layout of my new home as well as the salt water pool! Good Morning Matthew, We appreciate all reviews, and appreciate you giving us the chance to improve by providing us with this feedback. We regret to hear your experience with Valet Waste, please contact us so we can provide you with the proper communication regarding the trash. If you have any further questions, please give us a call. We're always happy to help! Thanks for being a resident at Metro 808! Happy Friday! Love the community events and team. Such a nice community to be a part of. Really enjoyed the omelette brunch, Super Bowl pre party and celebration of local businesses! Excellent apartments, friendly staff. The complex is clean and well maintained, and the residents are a friendly bunch. Plaza Midwood continues to grow and be a very active area. I’m in my mid 20s and I’ve been here for over a year now. The amenities and location are the best. The coffee downstairs is always a treat and the pool/grilling area is great year round! Wonderful staff, quality apartment units, great overall experience. I love the frequent resident events. It's something I brag about to friends all the time. Location is awesome as well. We can walk to the grocery store, cool restaurants and bars, and the best breweries in the city. Living in the metro 808 apartments has been a great experience overall! We have had little to no issues with our apartment, and if we do maintenance is always super quick to help! I would definitely recommend living here! I just leased with Metro 808 and couldn't be more excited to move in. The process was simple, I got such great help from the team and the desk with follow up questions, I can't wait to join the community. Amazing so far! Friendly staff and very clean. No issues yet and I’m certain it’ll this place will continue to make me feel at home away from home. Hi Bethany, we are very happy to have provided you with such a positive experience! We are so happy that you love it here! 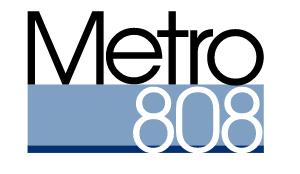 Thank you so much for your positive comments about Metro 808! I am a new resident at Metro 808 and I have to say the move-in process has been amazing. The leasing agents are friendly and very helpful and often go out of their way to make this my new home. Holly, we are so happy to read such a great review about Metro 808 and we are glad to know that you had such an easy and helpful move in experience. Thank you so much again for your feedback! We hope you have a great day! Great area. A lot of restaurants at walking distance. Have great maintenance group. Always getting stuff fixed the day of or the next day. Great system of packages. Living at Metro 808 has been great. Not only is the location fantastic--right in the heart of Plaza Midwood--but the management and service professionals are extremely kind and responsive. I appreciate their quick action and positive attitudes. The neighbors I have met are very kind, too. Hi Leslie H., we are very happy to have provided you with such a positive experience! Thank you for taking the time to let us know how we did. We hope you have a great day! Seems like a nice place to live, havent had a chance to check it out. The apartment seems nice and the neighborhood seems nice as well. Looking forward to my stat. Daniel V., thank you for your kind review; we are happy to pass along your comments to the team here at Metro 808! I am not moving. LOL. I love it here!!! Location, staff & residents.great place awesome units with plenty of Decor styles! The best part hands down is that the street car / trolley is being built RIGHT NEXTDOOR! Alvin M., thank you for your kind words and this wonderful review! We're glad to hear we delivered such a great experience. If there's anything further we can do for you, we are happy to help! We appreciate your positive review about your recent experience with us! We're happy you found our staff to be so supportive during your experience here at Metro 808. Thank you so much again for your feedback! We hope you have a great day! Davis H., we are very happy we could provide you with a positive experience! If you ever need anything else from us, please feel free to give us a call or stop by. Have an awesome day!